The bright light shining through the dark winter evening this Friday, Jan. 18, will come from Clermont Northeastern Middle School. There, district staff, friends and family of 6-year-old Kinley Sexton, and people who have never met her but are aware of her story, will gather for dinner and a silent auction, with all proceeds going to Kinley’s family to help with medical expenses. The fundraiser is 4 p.m. to 8 p.m. in the CNE Middle School cafeteria. 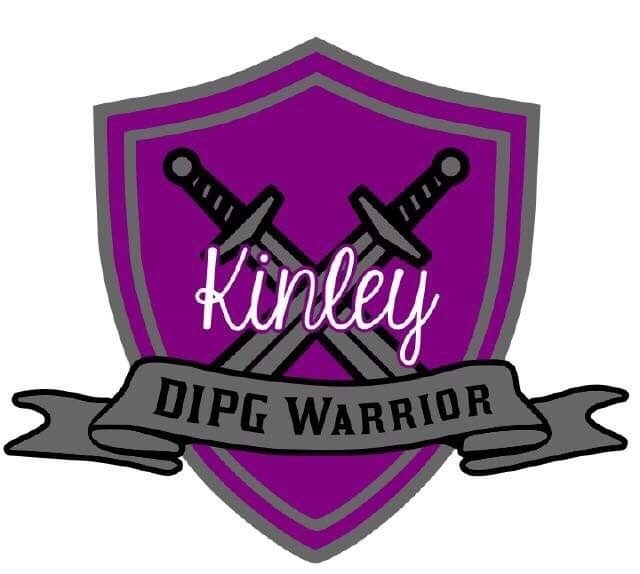 Kinley has been diagnosed with DIPG, Diffuse Intrinsic Pontine Glioma. She has a tumor on the back left of her brain and has been receiving treatment. CNE district nurse Lori Diekmann approached administration with the idea for the fundraiser, which came from her memories of spaghetti dinners and basket raffles, athletic fundraisers when she started working at CNE. Diekmann also presented the idea to Sexton’s mom, Ashley, and she supported it. Kinley has three brothers – Colton, Case and Kane. She then got approval from district administration, including Superintendent Michael Brandt, Assistant Superintendent Wayne Johnson and Dean of Students T.J. Dorsey. “It’s Lori Diekmann’s baby, it’s her idea. She came to me and said I think we need to have this fundraiser and you’re helping me,” Johnson said. The two work together on the district’s annual senior citizens luncheon in December. “We pulled in T.J. Dorsey for his technology skills,” Johnson said, noting that Dorsey put together flyers and other promotional materials, and coordinated social media mentions. Johnson has a history with the Kinley and her family. “Kinley was in preschool when she was diagnosed, and I had her grandfather at school, so I’ve been aware of the family,” he said. The family is not alone in its battle. Diekmann and Johnson both marveled at the support they have received. Everything needed for the event has been donated, including almost 100 items for a silent auction, such as themed baskets for kids and adults (date night, spa, sports and adult beverages) to taxidermy, sides of beef, a load of gravel, a mini motorbike, leaf blowers, a custom designed house plan, photo sessions, pitching lessons, zoo passes and gift cards. Minimum bids will be posted on each silent auction item. At the end of the night, the person with the highest bid will take home the basket. The silent auction is cash or check only. Kindergarten teacher Shannon Backer said Kinley has a large team behind her. Cincinnati Print Solutions printed the tickets, free of charge, Johnson said. “Our goal is 1,000 people,” he said. The CNE reserve and varsity boys basketball teams are at home Friday night, so Johnson hopes people will come for dinner and then attend the game. Tickets are $10 and available at the middle school office and from district staff. CNE Middle School is at 2792 U.S. 50 in Owensville. For more information, call 685-1401 or email Johnson at Johnson_w@cneschools.org. Information is also available on the district’s Facebook page, (@CNESchoolDistrict). • Research, design, and provide the best academic program and learning environment possible for students. Schools in the CNE District include Clermont Northeastern High School, Clermont Northeastern Middle School, Clermont Northeastern Elementary School and Clermont Northeastern Preschool.